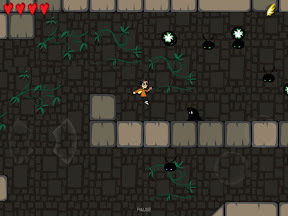 Junin, Buenos Aires, Argentina – Oniric Games today is proud to announce that Elemental Rage HD, a metroidvania-style adventure platformer for the iPad, has just been approved by Apple and is available for purchase through the App Store. Free the Elemental Spirits and save a dying world! Elemental Rage is an adventure platformer that every metroidvania fan will love. Devan, a powerful dark sorcerer, has captured the Elemental Spirits, source of all life in the planet, and created an army of soulless dark creatures that spread his reign of evil. Only a small group of brave soldiers lead by Talis, the Spirit Guide of Water, is putting up a fight against Devan’s tyranny. They are just a handful, but they have a secret weapon – you. 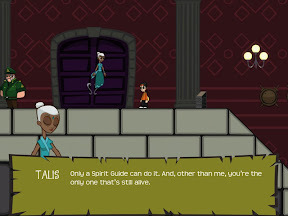 Take the role of Huna, a young Spirit Guide in training, free the Elemental Spirits and save the world from a dismal fate. Elemental Rage HD 1.0.1 is only $6.99 (USD) and available exclusively through Apple’s App Store in the Games category. An iPhone/iPod touch version will be released shortly. Oniric Games is a game development studio based in Argentina, committed to creating those games players have always dreamed of. The studio produces top quality PC, Mac and iPhone video games for both the local and the international market. Copyright (C) 2011 Oniric Games. All Rights Reserved. Apple, the Apple logo, iPhone and iPod are registered trademarks of Apple Computer Inc. in the U.S. and/or other countries.